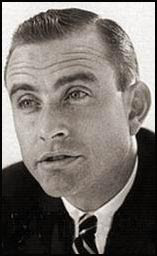 ... James Von Brunn, born in 1920, is said to have been associated with rightwing white supremacists. It's known that in 1964, former Marine Corps Lt. Gen. Pedro Del Valle gave Von Brunn a copy of The Iron Curtain over America, by John Beaty, of which Von Brunn said, "For the first time, I learned how Jews had destroyed Europe and were now destroying America." The Iron Curtain over America (1951) was called by the Anti-Defamation League of B'Nai B'Rith one of the most anti-Semitic books ever written in the United States. In it, Beaty claimed Eastern European Jews, such as Supreme Court Justice Felix Frankfurter and Samuel Rosenman, President Franklin Roosevelt's speechwriter, were part of that conspiracy. The book also gave intellectual currency to some of the anti-communist outrages that Sen. Joseph McCarthy was associated with. Del Valle recommended Von Brunn to a position with rightwing book publisher Noontide Press, whose founder Willis Carto was a Holocaust denier, and who formed Liberty Lobby that aspired to have public policy influence. Del Valle had a distinguished military career in both world wars and was the first Hispanic to reach the rank of lieutenant general. In 1946 he was considered by President Truman as a possible governor of Puerto Rico, when the post was an appointive one. Del Valle retired from the military in 1948. In 1953, he and four other high-level former military officers formed the Defenders of the American Constitution, intent on purging the United States of supposed communist influences and they organized citizen-vigilantes to guard against sabotage and treason. ... A White House memorandum prepared for JFK in mid-August 1963 estimated that the radical right spent as much as $25 million annually, supported by about 70 foundations, 113 corporations, 25 utility companies, and 250 identifiable individuals. Willoughby's publisher and friend Billy James Hargis was a short, portly, double-chinned fellow in his midthirties who gained much of his financial support from H. L. Hunt and other wealthy oilmen. 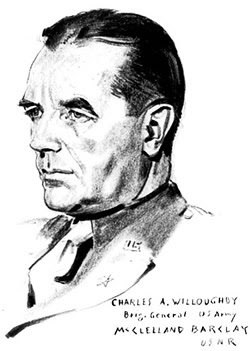 Along with Willoughby, who was his Washington eyes and ears, another of Hargis's advisory committee members was retired lieutenant general Pedro del Valle, US Marine commander in the Pacific Theater during World War II. 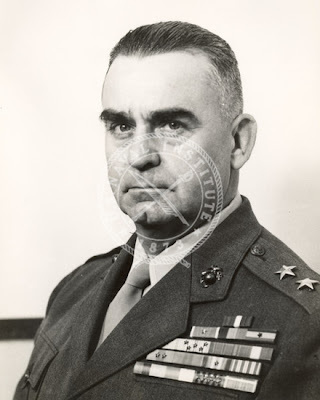 After the Korean War, del Valle had become vice president of ITT's Latin American operations. In September 1961 Hargis announced that a secret fraternity to coordinate right-wing activities would soon be formed. Then, on March 21,1962, a carefully selected group was called together in Washington. No press representatives were allowed at the founding session of the Anti-Communist Liaison, which brought together about one hundred delegates representing some seventy-five right-wing groups at the Washington Hotel. Named as its chairman and operating head was Edward Hunter, a National Advisory Board member of Young Americans for Freedom. John Rousselot - Spartacus Bio: "In 1975 Harry Dean claimed he had been an undercover agent for the Federal Bureau of Investigation. In 1962 he infiltrated the John Birch Society. He later reported that Rousselot and General Edwin Walker had hired two gunman, Eladio del Valle and Loran Hall, to kill President John F. Kennedy. However, Dean was unable to provide any evidence to back up his claim. After being defeated in 1982 Ronald Reagan appointed him President of the National Council of Savings Institutions (1985-88)."